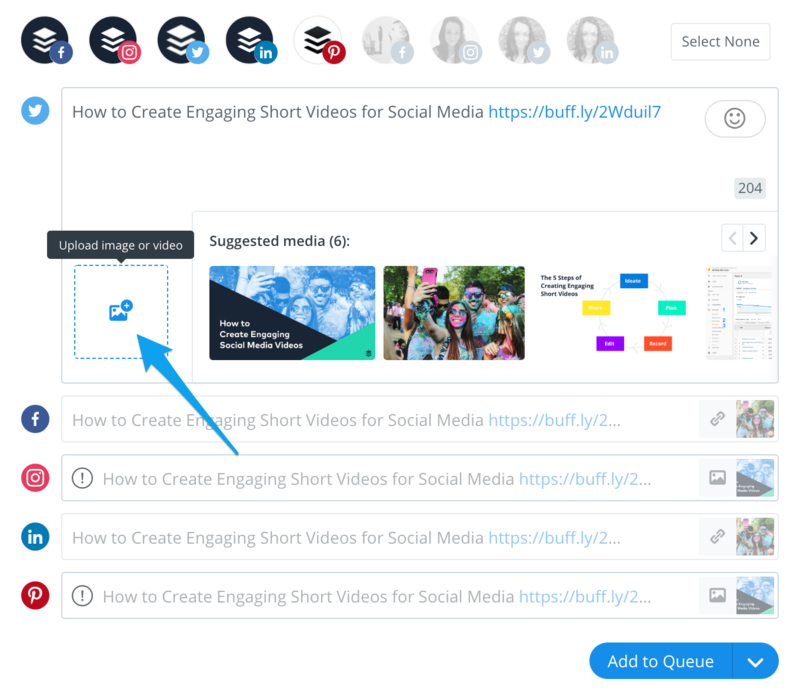 When it comes to adding media to your posts, the options you'll see will vary depending on the social network you're sharing to. Please refer to the table below. If you include a link in your post, a link attachment will be auto-generated for Facebook and LinkedIn. 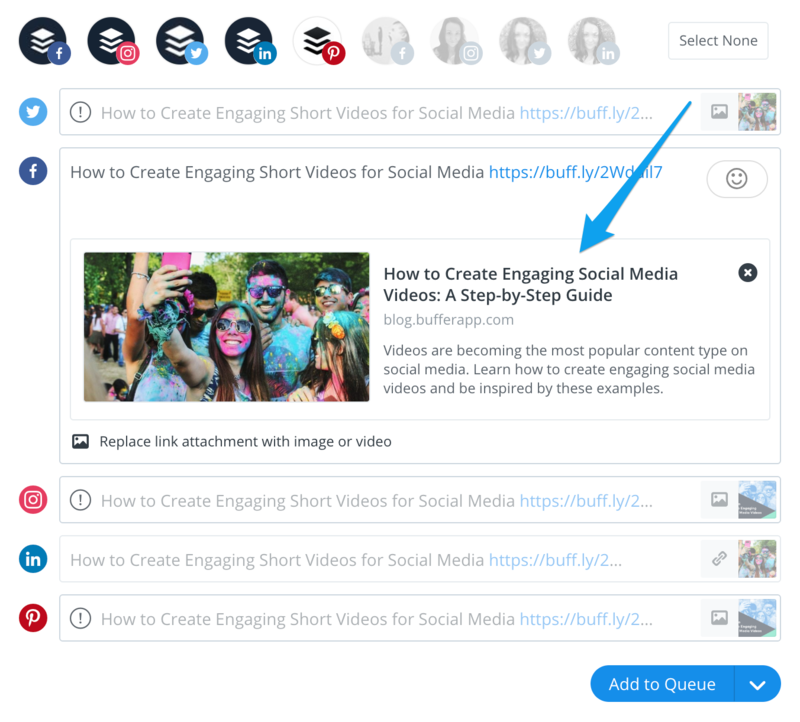 Link attachments mirror what you would see if you were sharing a link natively to those social networks. It was previously possible to customize link attachments for Facebook, but in December 2017, Facebook withdrew support for the customization of all link attachments that were not your own. This means that if you are sharing a link to somebody else's blog or website, you will not be able to customize the link attachment. If you are sharing a link to your own blog or website, and you have set up Domain Verification through Facebook, you will be able to customize link attachments for Facebook Pages. Learn more about Facebook Domain Verification here. Link attachments generated for LinkedIn can be customized, meaning you're able to modify the title, description, and image manually, if you wish. If you prefer, you can choose the option to Replace link attachment with image or video. If you include a link in your post, we will "scrape" the link you've included and pull in any images found on the page. You're then able to click on any of those images to include with your post. For Facebook, Instagram, and Twitter, you're able to choose up to four images. For LinkedIn and Pinterest, you're currently only able to choose one image. In all cases, you will have the option to upload your own image. For Facebook, Instagram, and Twitter, you're able to upload up to four images. For LinkedIn and Pinterest, you're currently only able to upload one image. We currently support JPG and PNG image files for all social networks, and additionally GIF files for Twitter and Pinterest. In all cases, you will have the option to upload your own video. 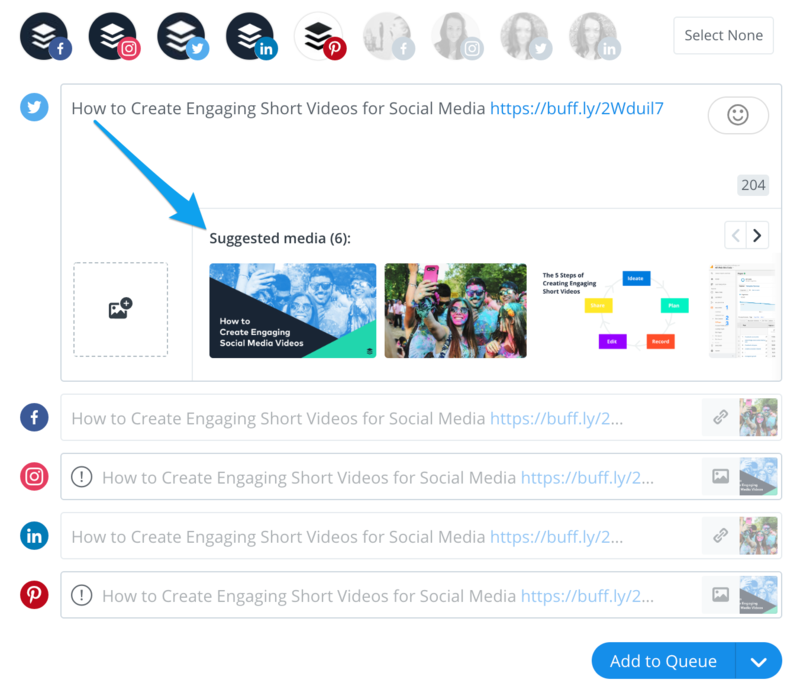 Learn how videos appear and behave on each social network here.